Lemonades are our all time favorite to treat our guests. 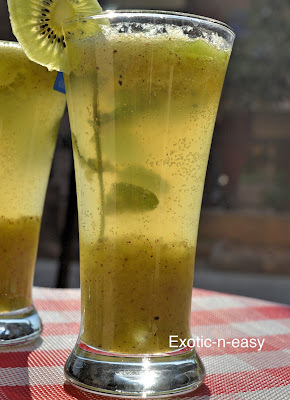 This time surprise them on New Year eve with a twist by making kiwi flavored lemonade. 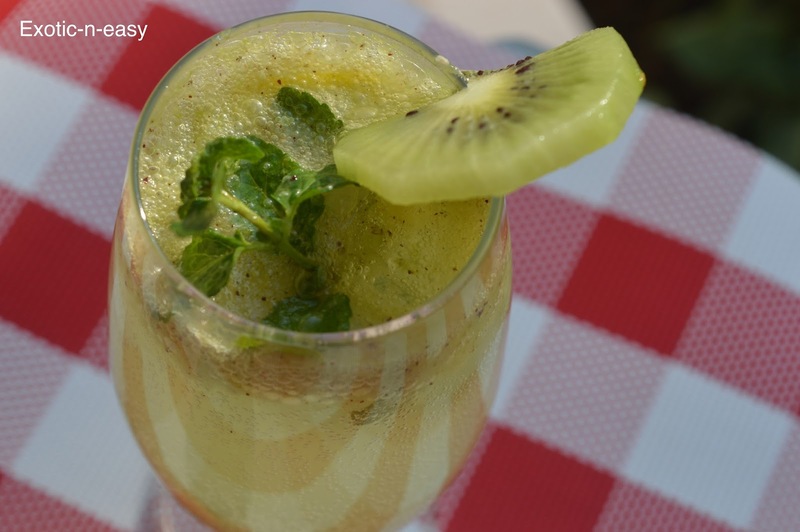 Now take a glass, fill 1/3 glass with this mixture add few mint leaves to this, sliced kiwi and lemon slice.